Help Liebig make people fall back in love with their soups, through a video that will inspire a TVC. Dear Creators, This year Liebig will shoot their next TV campaign and they need your help to find the right way to talk about Liebig in this commercial. Ever wanted to be a creative director? This is your chance to help! 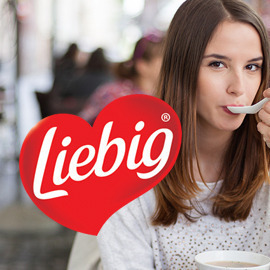 Create an amazing, impactful and creative video that will make people recall, love and eat Liebig soup again! Besides finding a clever story, we would like you to use the Liebig red heart in a dynamic way, which is their “brand icon” and give it a key role that will directly make consumers think of Liebig. Videos or animation, 30 seconds maximum. Click to read the brief and participate! Get creative and send your creative video before February 23, 2014. We wish you good luck!